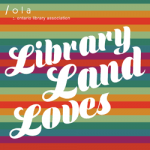 In this release we feature Miranda Hill, school libraries, Piwik, Romance novels, organizational change, and AODA and copyright. Have you travelled the Canadian Literary Trail? Miranda Hill, the award winning writer, is also the Executive Director of Project Bookmark Canada. In The Interview with Mike Ridley she talks about the project, the trail, her writing, and libraries. What exactly are school libraries? In The School Library: Where vs. Who, Barbara McVeigh looks at some traditional challenges to school libraries and teacher-librarians. If you run or are responsible for a website, you are intimately acquainted with Google Analytics. But GA isn’t the only, or most desirable, game in webtown. Susanna Galbraith introduces an alternative in Piwik: Breaking Away from Google Analytics. With Valentines Day just behind us, the glow of romance still lingers. An ideal time for Maya Rodale’s defence of the romance genre: Romance Novels: More Than Just Trashy Books. In his Open for All? columns John Pateman has repeated championed change. But change isn’t that easy. In Horses and Water: the Learning Organization he suggests some ways forward. How can libraries comply with both copyright and accessibility legislation? Don’t AODA and the new Copyright act set up intractable problems? In Copyright and the AODA Stephen Spong examines how harmonizing our response to this new legislation provides new opportunities for libraries.